With the 40th anniversary of The Rocky Horror Picture Show just passed and Halloween only a few weeks away, now seems like an ideal time to reconsider the importance of the seemingly deathless 1975 cult movie musical, which initially flopped in theaters before becoming the center of an audience participation phenomenon unequaled in cinema history. Flavorwire editor-in-chief Judy Berman has done so with an appreciative and rather bittersweet essay entitled “We Live In The World Rocky Horror Created,” in which she remembers her own experiences with the film and considers its overall cultural impact. 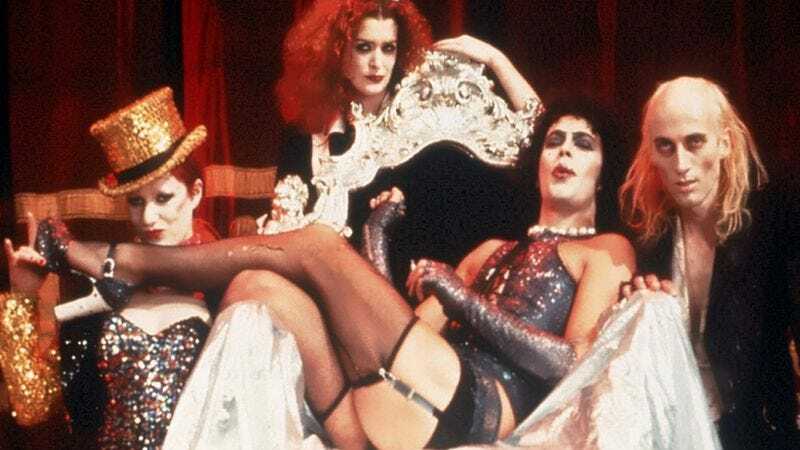 The main point of the article is that Rocky Horror is no longer as shocking or transgressive as it may have seemed four decades ago, and while that’s a little sad, it’s actually good news because it means that society in general has become exponentially more tolerant of heterosexuality, bisexuality, and other transgender concerns. The film, based on Richard O’Brien’s 1973 genre-and-gender-bending sci-fi/horror/comedy stage musical, has outlived its usefulness to a degree, Berman argues, but it is ultimately encouraging that the world no longer needs Rocky Horror the way it did in decades past. Ultimately, though, it’s good news that we’re finally starting to live in the world Rocky Horror created. It’s a more confusing world, one where cross-dressing and flexible sexuality might not create the transgressive frisson they once did. But it’s also a whole lot freer.